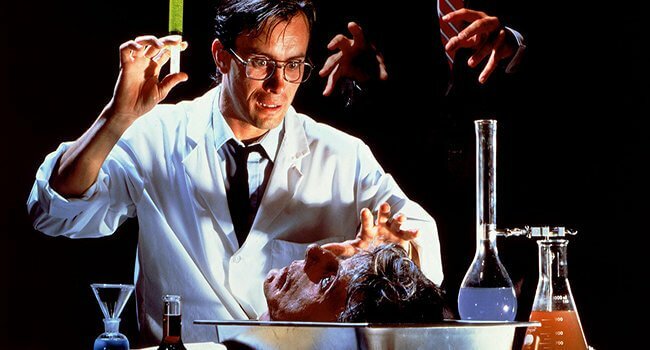 Herbert West (Jeffrey Combs), also known as the Re-Animator, is the villain of the cult classic 80s comedy-horror film “Re-Animator”, its sequels, and its 2011 stage musical, all based on HP Lovecraft’s short story “Herbert West–Reanimator”. He also was the subject in the Dynamite Comics series “Re-Animator” and even crossed paths with Ash Williams from Evil Dead in the Army of Darkness Vs Re-Animator comic series (An fun idea for a pair cosplay). Chemistry tubes/head optional. Bring “life” to any party in this gross out costume! 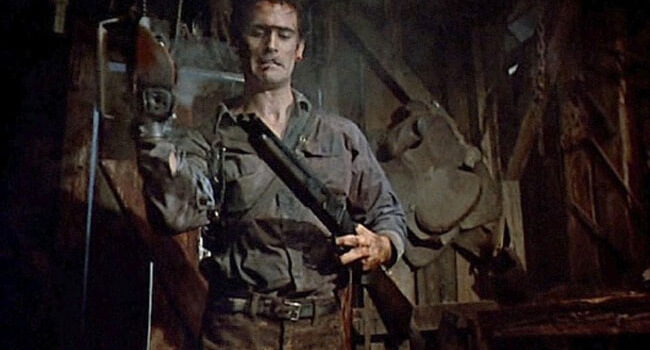 In the Evil Dead, Ash Williams (Bruce Campbell) must face off against his loved ones as they’re possessed by evil souls of the dead called deadites. To defeat them, he arms himself, quite literally, with a chainsaw and a sawed off shotty.